If you're looking for us these days, check the pool. 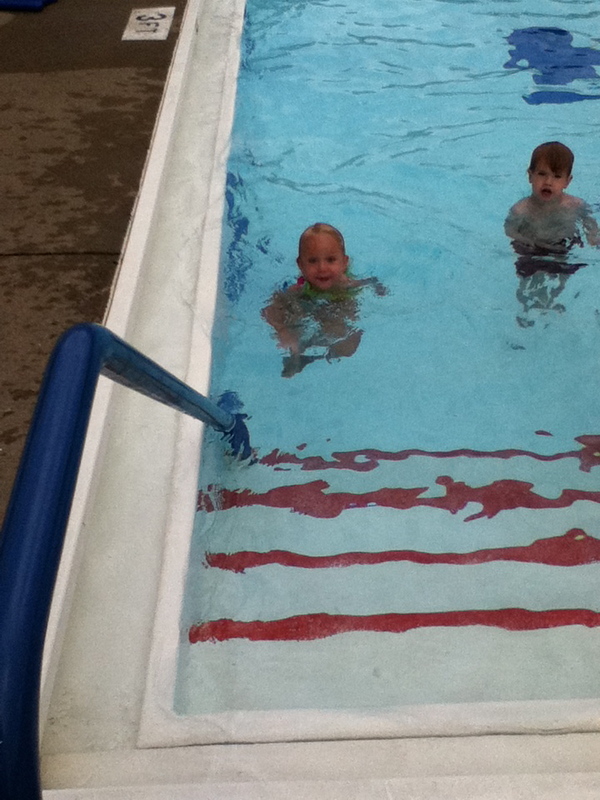 O. and N., finishing up two weeks of swim lessons today, so we've been there rain or shine, hot and cool. They might as well be growing gills. Don't let this one fool you. 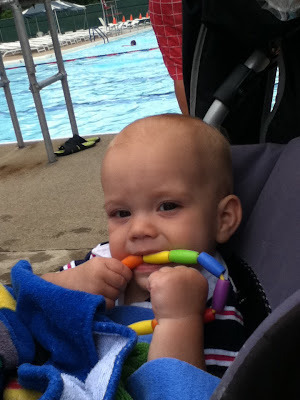 He only stays in the stroller long enough for me to haul all of our stuff in from the car. After that, it's one long wrestling and retrieval match for he and I, in and out of the water. 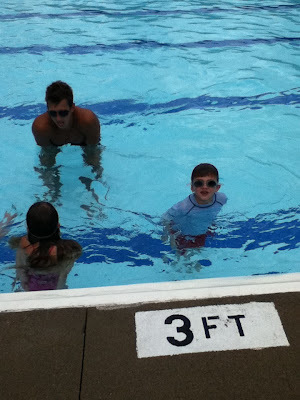 He looks pretty darn cute in a swim shirt, though. I envy you the life aquatic -- can't wait until we have access to a nice, suburban, family friendly pool!